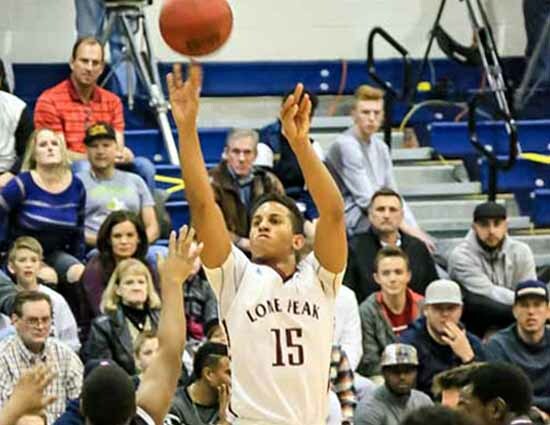 OREM – The most impressive offensive player on the floor at the UCCU Center on campus at Utah Valley University Friday night was Brendan Bailey, but one of his best nights was not enough to deliver the American Fork boys basketball team in its battle with Region 4 rival Lone Peak, with its star, Frank Jackson. 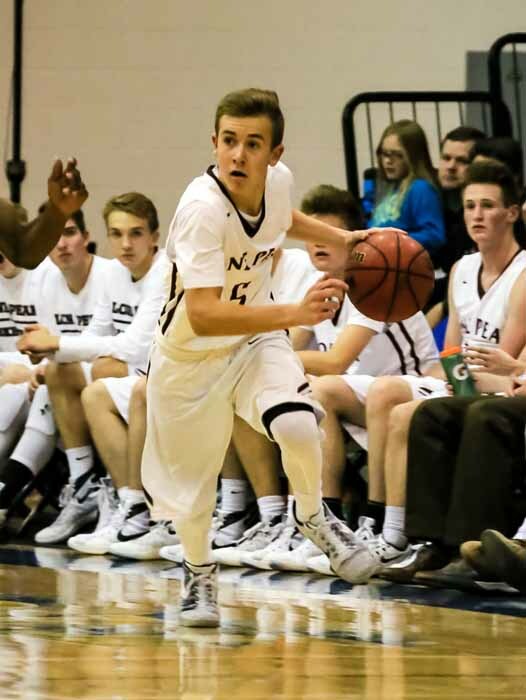 As has become the custom in recent years, Lone Peak and American Fork moved their boys basketball game to the neutral court at the UCCU Center, where a pair of 10-0 runs, one in the second and another in the third quarter, helped the Knights pull away for a 73-60 win. The first quarter was quite competitive, as American Fork received balanced scoring from Bailey, along with Spencer Johnson and Benji Judd to counter six points from Jackson and five from Chad Pollard. Lone Peak was up two after the initial eight minutes, but a strong second quarter allowed the Knights to pull away and the Cavemen were forced to be on the chase the rest of the night. Jackson scored seven in that second stanza, but it was six points from Nate Harkness and seven (including a pair of dagger 3-pointers) off the bench from Talmage Gunther that contributed to that quarter’s 10-0 run. By halftime, the Knights led by 11, at 37-26. After intermission, Lone Peak outscored the Cavemen by three points in the third to open the advantage up to 14 points, but it was a quarter of runs. American Fork came out of the locker room red hot, using a 9-2 run to open the period to draw within four at 39-35. The Knights’ answer came in the form of their second 10-0 run of the night, fueled by a big and-one from Jackson and huge long-range treys by both Steven Ashworth and Gunther. For Jackson, every point was hard-earned. Johnson (who had four steals in the contest), Jake Whitehead and Braden Condie defended him aggressively, as the Cavemen often sent multiple defenders at Jackson in the attempt to force him to give up the ball. The Duke-bound senior went cold at the charity stripe in the final quarter, which kept American Fork from falling further behind, but even that was not nearly enough to allow for a Caveman victory. With all of the effort American Fork laid down at the defensive end to slow Jackson, the Knights answered with some strong defense of their own, led by Ashworth, a sophomore guard, who had three steals. The one American Fork player who managed to find space was Bailey, who was on target all night long, as he delivered 28 points and six rebounds to set the pace for the Cavemen. Johnson scored 11 of his 18 in the final quarter and did a lot of his damage at the charity stripe. The senior guard also pulled down seven boards. 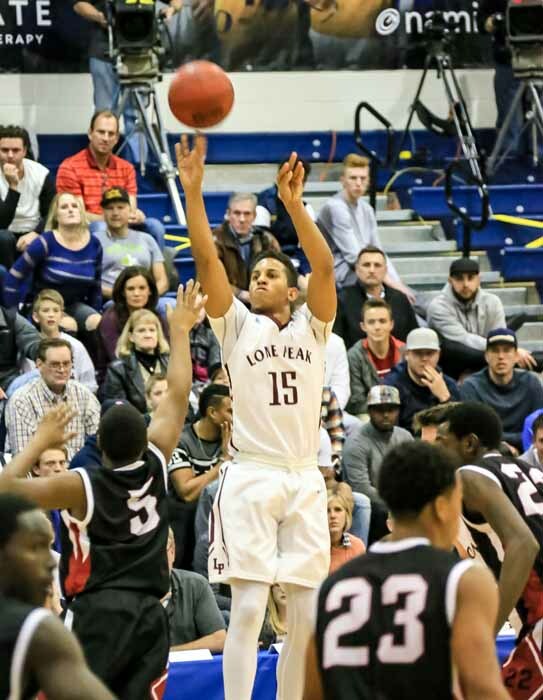 Jackson led Lone Peak with 21 points, while also hauling in six rebounds. Ashworth drained eight fourth-quarter free throws (he was 10-for-10 from the line overall) on his way to a 13-point fourth and a 20-point night. Harkness scored 10 points and added seven rebounds. The Cavemen (0-1 in Region 4, 10-2 overall) visit unbeaten Westlake (1-0, 11-0) Tuesday night as play continues on the loaded Region 4 schedule. The Knights (1-0, 9-2) are at Herriman (1-0, 8-2).